Interested in finding out more about who we are as a church? Have questions about the way we go about things or want to become an official part of the City Church family? 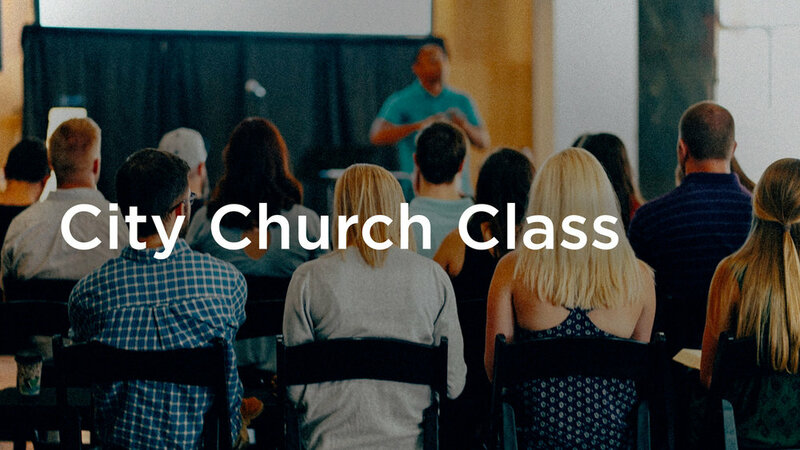 The avenue for all of the above is City Church Class, our three-part class that covers the basics of who we are as a church, and allows for Q&A time with the pastors. City Church Class is a great opportunity, whether you're already ready to become a member, or just wanting to find out more about us. City Church Class takes place over three consecutive Sundays (February 24, March 3, & March 10), from 2:00–4:00p each week. To sign up for the class, use the form on this page. Do you need childcare for the class? Childcare can often be provided if needed. Yes, I do need childcare. No, I don't need childcare. You’re signed up! Thank you. 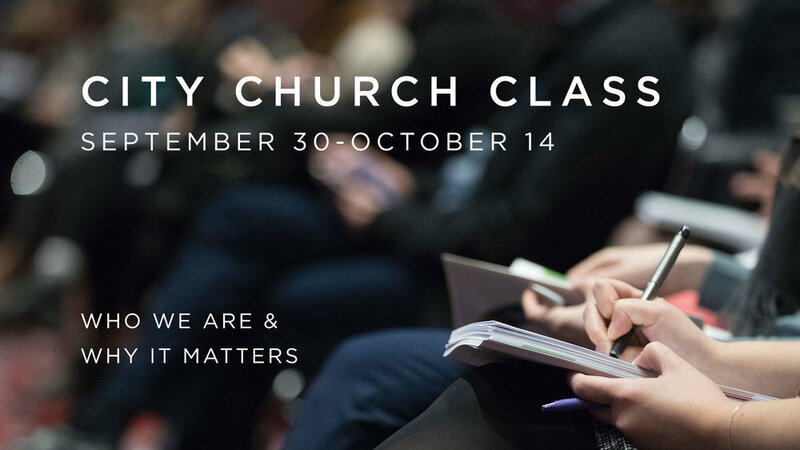 City Church Class takes place over three consecutive Sundays (September 30, October 7, & October 14), from 2:00–4:00p each week. You only need to sign up once for the three-part class. City Church Class takes place over three consecutive Sundays (September 30, October 7, & October 14), from 2:00–4:00p each week. City Church Class takes place over three consecutive Sundays (June 10, 17, & 24), from 2:00–4:00p each week. *Note: If you've already signed up for week 1 of the class, no need to sign up again below. City Church Class takes place over three consecutive Sundays (February 25, March 4, & March 11), from 2:00–4:00p each week. City Church Class takes place over three consecutive Sundays (Oct. 29, Nov. 5, Nov. 12), from 2:00–4:00p each week.